The Cardinal are favored around 16 points to beat the Bears, and that sounds about right. At home, Stanford football has been dominant, averaging 42.75 points per game and 294.75 rushing yards per game. The home win over No. 9 Washington was the Cardinal’s most impressive victory of the season as future Heisman runner-up Bryce Love rushed for 166 yards against the top-ranked defense in college. Stanford on the road has been suspect but Stanford at home should not be questioned. Cal has not been great on the road as it surrenders 39.25 points per game and is ranked 70th in rushing defense. Starting at 3-0 and then giving USC a tough game, the Bears looked primed to challenge for the Axe, but now, it looks like the Cardinal will make it eight straight Big Games with a W.
After Stanford’s impressive victory over Washington last week, the Cardinal will likely carry a lot of momentum as they enter Saturday’s rivalry game. Cal’s defense allows an average of 170 rushing yards and 210 passing yards per game, which means KJ Costello and the Stanford offense should have no problem moving the ball down the field. With a nation leading average of 180 rushing yards per game, Bryce Love will likely put up at least 200 yards, including a few trips to the end zone. Against the top defense in the country last week, Love managed to rush for 166 yards, which shows his potential against a 70th ranked Cal defense. If Stanford’s defense continues to play just as well as last week, Cal will find their opportunities at the endzone very limited. It’s finally time for the 120th Big Game. Coming off of the upset win against No. 9 Washington, 30-22, last Friday night, No. 20 Stanford (7-3, 6-2) faces the bitter rival Cal Bears (5-5, 2-5) at home this Saturday. 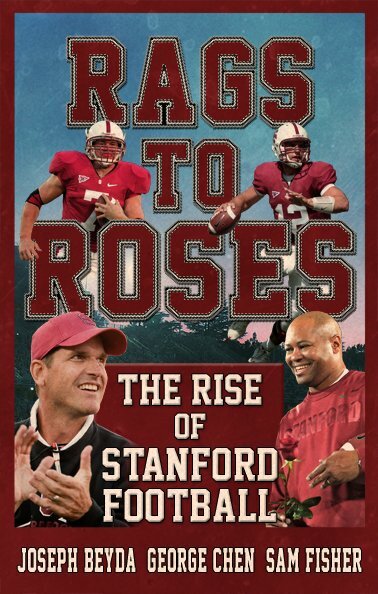 Stanford leads the all time series 62-46-11 and has won the last 7 consecutive games. If Stanford wins and Washington beats Washington State, the Cardinal will win the PAC-12 North title, so this is an important matchup in addition to the rivalry. Sophomore quarterback KJ Costello will start again at quarterback for Stanford. Look for his high energy and confident plays against a strong Cal defense. Expect PAC-12 Player of the Week and national rushing leader junior running back Bryce Love to continue his tough and physical running game. The defensive unit should be ready to go as well after their test against Washington. Expect seniors Harrison Phillips and Bobby Okereke to put constant pressure on Cal’s quarterback. Stanford is 4-0 at home this season, and I predict this streak will continue. Tedford in 2012. However, this year the team from across the bay has shown signs of life under new head coach Justin Wilcox. They crushed Washington State 37-3 on a Friday night in a peak #Pac12AfterDark game. They’ve started to run the ball effectively with Patrick Laird who’s averaging 5.7 yards per carry. Their defense has improved tremendously. That plus the fact that rivalry games tend to get weird has me a little worried. But my fears are quickly calmed when I think about Stanford in the second half against Washington on both sides of the ball. That version of the Cardinal can beat anybody. Cal will hang around for a while, but a few big plays from Bryce Love in the run game and JJ Arcega-Whiteside in the pass game will help Stanford pull away and cruise in the fourth quarter. I’m cautious about being this confident in the result of a Stanford game, because I was just as certain the Cardinal would lose last week as I was that they would handle San Diego State with ease early in the season, but this should not be a close game. Stanford, especially the Stanford team we saw last week, is more talented than Cal in every facet of the game and has played like a College Football Playoff-caliber team at home. As Jose mentioned, Cal is a terrible road team, winning just one game on the road this season against a now 2-8 North Carolina team. Earlier this season, I thought this could be the year that Cal breaks Stanford’s seven-game series winning streak. Not anymore. KJ Costello gains confidence, Bryce Love adds to his Heisman resume and the defense continues their recent string of dominant performances in a big Cardinal victory.